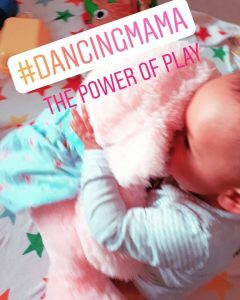 The Power Of Play – What better depiction of play fight than with a pink teddy! I love a play fight. A spontaneous, innate wrestle to bundle each other, avoid or supply a tickle, or to try to get my own way. I love the struggle to push and pull; the wrangle and tangle of limbs. The huff and the puff, the grunt and the scream, the force, the grapple to succeed. The calories burnt, the muscles engaged, the core strength to overturn the opposition. As long as the opponent knows when to really stop of course – there are moments when they won’t give in. A stronger force needs to know the rules, respect the signs when to relent, catch a breath, before Round Two begins. Love the laughs, the moments where I can’t breathe either for laughing ’til I could burst, or being pinned down and unable to move. An extreme game of Twister, that extra level of tussle to intensify the workout, ok, a bruise here and there, but the feeling of euphoria at the end. The bond the play fight forges. A patch over an argumentative moment or blasting away the stresses of the day. You can’t beat a play fight to boost the happy feels and each one rolls out every time in its own unique way. I had to write about play fighting like this. It’s something that always astounds me. The restorative nature from a tense moment as two people, or maybe even parent and child, push the concept of play. It may not be for everyone, and there may not be a suitable (or worthy) opponent to hand. A recovering post-natal body should probably take it easy, and their opponent needs to be clear that ‘stop’, ‘ouch’, or the agreed equivalent is understood, as is the agreed level of force. And definitely no kicking, punching or biting allowed (just a nibble perhaps)! It’s such a natural instinct we see with other mammals – dogs, cats, monkeys – they play with each other frequently, but it’s something we tend to lose as human adults. A full body work out of short bursts of intense play can surely burn serious calories. I don’t know the stats, but would be interested to know, and in addition to the laughter it’s a good all round mind and body workout. Go on – find that inner child and find the Power Of Play! This is hilarious – the How To guide to Play Fighting with your girlfriend. Take note! There’s even an organisation promoting mindful play fighting!